Multiple-time German Champions Team Berlin 1 returned to competition in style this weekend, taking a strong lead at the 2019 National Championships in Berlin. Junior, Novice, Mixed Age, Adult, Juvenile and Basic Novice also battled for top spots. Three teams competed in the Senior division. 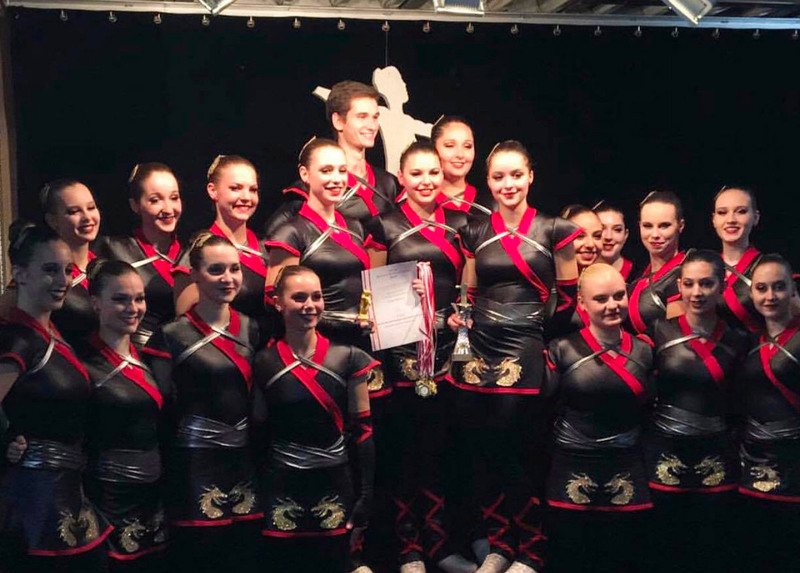 Team Berlin 1 continued its golden way with a first-place, earning a total of 188.93 points. 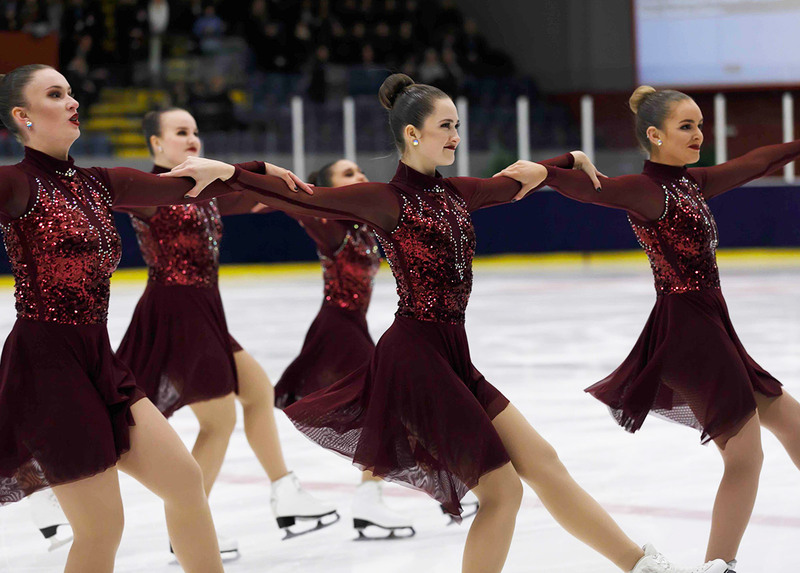 After a clean and swinging short program, the team of Gert Hofmann skated a strong and energetic program on Sunday. Their Ninjas free program brought them 121.13 points. On Sunday, the team was very pleased with its performance. Skating Graces claimed second after a very elegant free program. 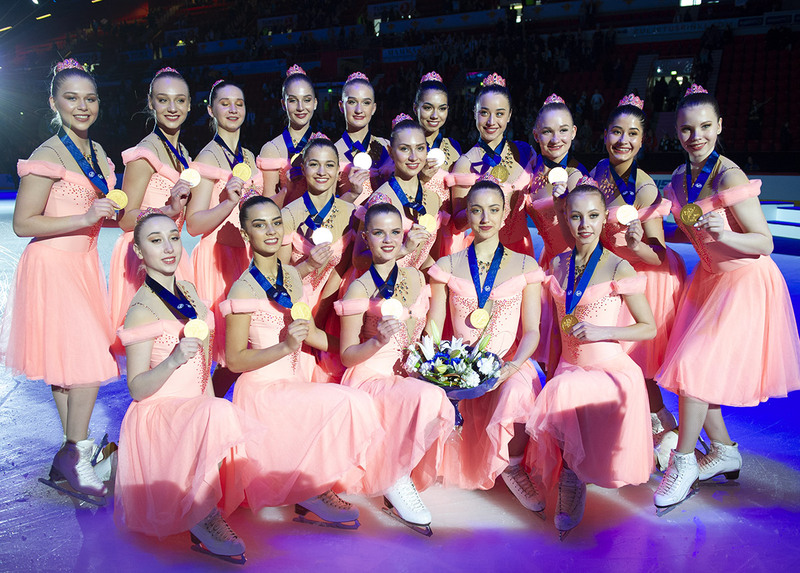 Dressed in blue, the team added many creative ideas in the program, as a two-level block at the beginning of the free skate. Skating Graces finished with 142,65 points in total thanks to their precision in skating. The weekend was more complicated for Team United Angels. With two falls in the short program, the team had one more fall in the free skate. However, United Angels started the free program with an interesting and creative circle element. On the other hand, their lifts had maybe a little lack of stability. They got 114.83 for both programs. In the Junior division, Team Berlin was the only participating team. The team got 46,53 for the short program because of problems in the Twizzle Element. On Sunday, the Berlin skaters showed a great program on Aladin’s theme. Skating to "A Whole New World" song, the team dressed in blue and gold earned a total of 125.46 points. Skating Graces took control of the Novice event, earning 51.63 points. Team Berlin Novice ended in second with 50.32 points. Saxony Ice Pearls dominated the Mixed Age division. Team Butterfl’Ice claimed the silver medal and Munich Synergy got the bronze. The Mixed Age category is quite well developed in Germany, seven teams were competing in this division. 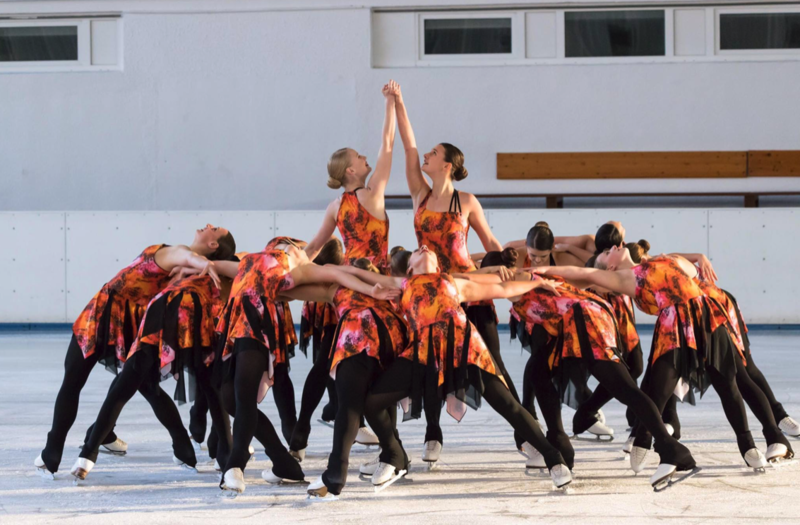 In the other divisions, Skating Graces won the Juvenile competition, Saxony Ice Pearls earned a gold medal in the Basic Novice event and Red Sunshine claimed the gold in the Adult category. For many German teams, the next competition will be the 2019 international Mozart Cup in ten days in Austria, just on the other side of the border.